IKO Group was proud to be awarded Highly Commended Supplier in the People category, at a recent Willmott Dixon Supply Chain Partner Event at Warwick Racecourse. The event recognised the achievements of Midlands-based supply chain partners to the leading independent construction and property services company. 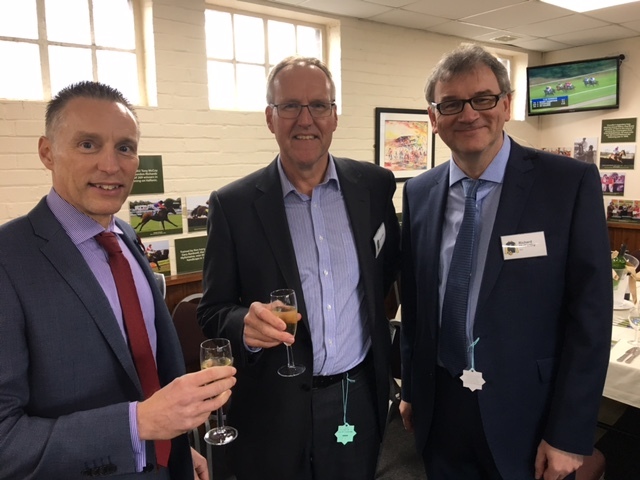 A morning of networking was followed by the awards ceremony and then guests celebrated with an afternoon at the races. IKO UK Group signed a Mandated Supplier Agreement with Willmott Dixon earlier this year. IKO Polymeric supplies its Spectraplan TPE and Armourplan PVC single ply roofing membranes. IKO PLC supplies its IKO Permatec hot melt range of bituminous systems, IKO Permaphalt mastic asphalt and IKO Polimar cold-applied liquids. Willmott Dixon is a £1billion turnover business covering commercial and public sector construction, housebuilding and development, interior fit-outs, repair and maintenance work and energy services. Visit www.ikogroup.co.uk and www.ikopolymeric.co.uk for more information.